Six youth and two adults from St. Stephen Lutheran Church, Marlborough, headed south for the February school break. 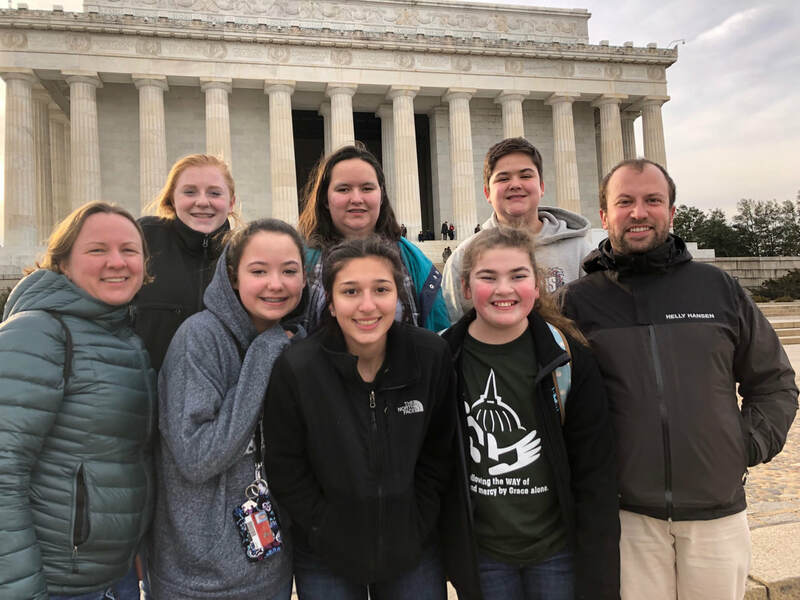 Rather than a typical tropical vacation destination, their goal was Washington, DC, where they not only engaged in traditional volunteering at a food bank and a soup kitchen, but also spent a full day on Capitol Hil. While there, they met with ELCA Advocacy, an Evangelical Lutheran Church in America’s ministry that works for change in public policy through political channels on behalf of biblical values such as peacemaking, hospitality to strangers, care for creation, and concern for people living in poverty and struggling with hunger and disease. 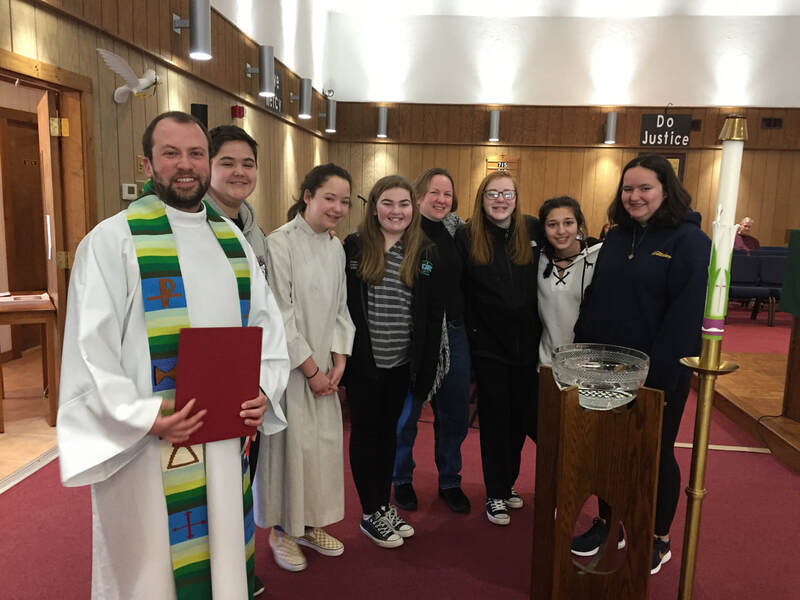 “This year’s mission trip demonstrates a changing understanding of youth education in the ELCA,” said Pastor Joseph Graumann, who along with youth leader Sarah Maston, chaperoned the group that includes Zach, Caitlyn, and Samantha Gogan, Emily Haley, Abby Maston, and Emma Keledjian. In addition to finding out about the church’s priorities in Washington, the group met with their local elected officials and had a full tour of the Capitol. Also on the agenda for the 5-day trip was a visit to Luther Place Memorial Church, built in Washington, DC in 1873 as a memorial to peace and reconciliation following the Civil War. The neo-Gothic building resembles the shape of a ship, and is well known for its stained glass windows picturing twelve reformers. Luther Place has renovated neighborhood row houses, opened its doors to the homeless and later formed and worked with a multi-denominational coalition to open a facility to shelter and house people in need, and founded the Lutheran Volunteer Corps, now a national program that places hundreds of volunteers with social-justice oriented organizations. St. Stephen parishioners surprised Pastor Joe last Sunday with a very special birthday cake for his milestone 30th birthday. The elaborate confection, created by Glenn Maston, was inspired by the Jeopardy game board– and the 2006 appearance by the then 17-year-old Joe Graumann’s appearance on TV’s Teen Jeopardy. He advanced to the semifinals of the popular show. A top layer of the sheet cake, made from icing-covered and removable graham crackers, indicated three categories: pop culture questions from 2006, birthdays, and biblical numbers (answers: 30). By carefully removing the crackers, the answers were revealed in the cake below. Those attending the post-service coffee hour had a choice of devouring either white or chocolate cake below. Although the cake was baked and decorated by Glenn, a cake enthusiast whose avocation is to create fancy, simple, and even strange cakes for all occasions, it is obvious that St. Stephen’s youth played a part – many of them have Pastor Joe’s Jeopardy photo on their phones, Glenn noted. Check out the photos to see all the details in this incredible cake! Throughout the world, Christians are celebrating Epiphany, or the 12th Day of Christmas in a variety of ways. 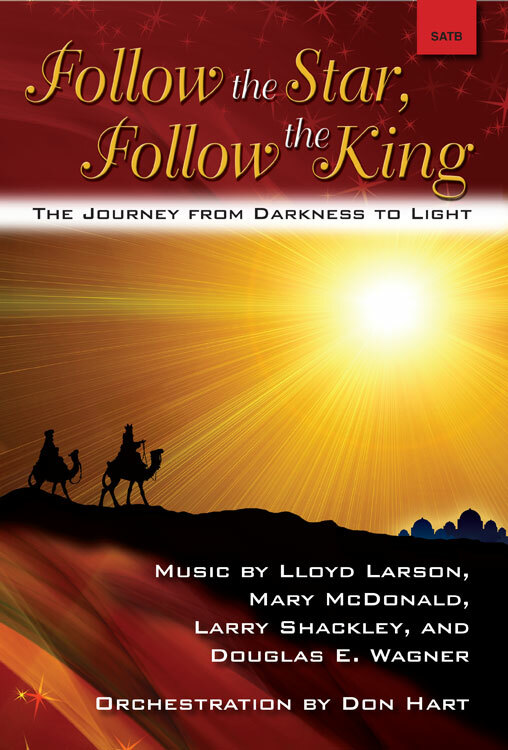 Closer to home, St. Stephen Lutheran Church, 537 Bolton St., Marlborough, will present a choir cantata, “Follow the Star, Follow the King,” at the 9:30 am worship service on Sunday, January 6. 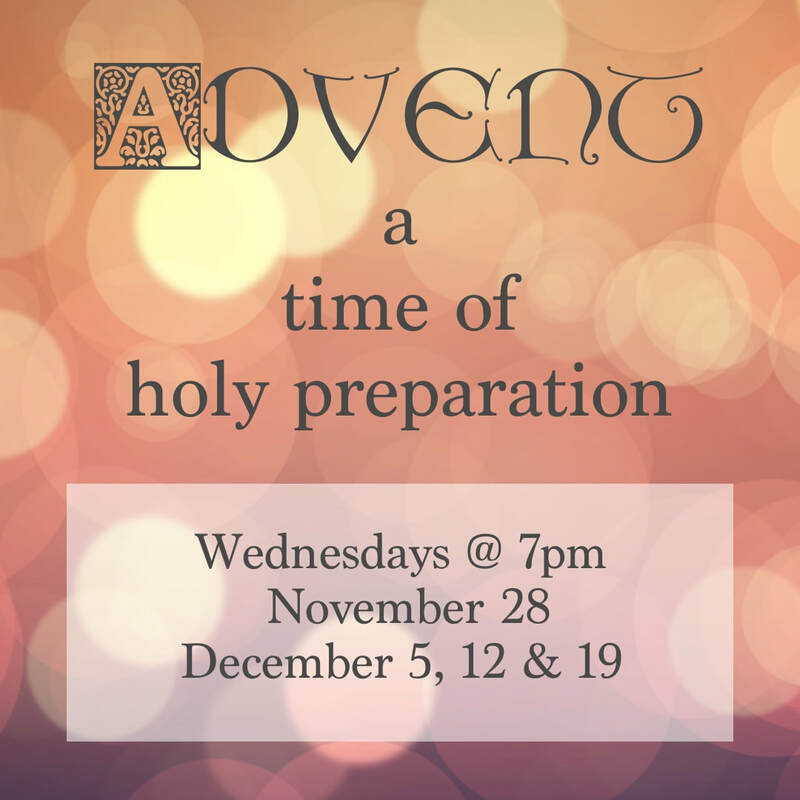 While the choir will present both familiar and original music, led by St. Stephen Music Director Stanley Hanson of Hudson, those who attend will also have the chance to sing Christmas carols and participate in a worship service that includes Holy Communion. Sunday will be a busy day at St. Stephen Lutheran Church. “A Campfire Nativity” is the theme for this year’s annual potluck dinner and pageant, which will begin at 4 pm. Children and other parishioners will play the roles of all the people – as well as animals and angels – who were part of the first Christmas in Bethlehem. Liz Greer of Hudson is coordinating the event. 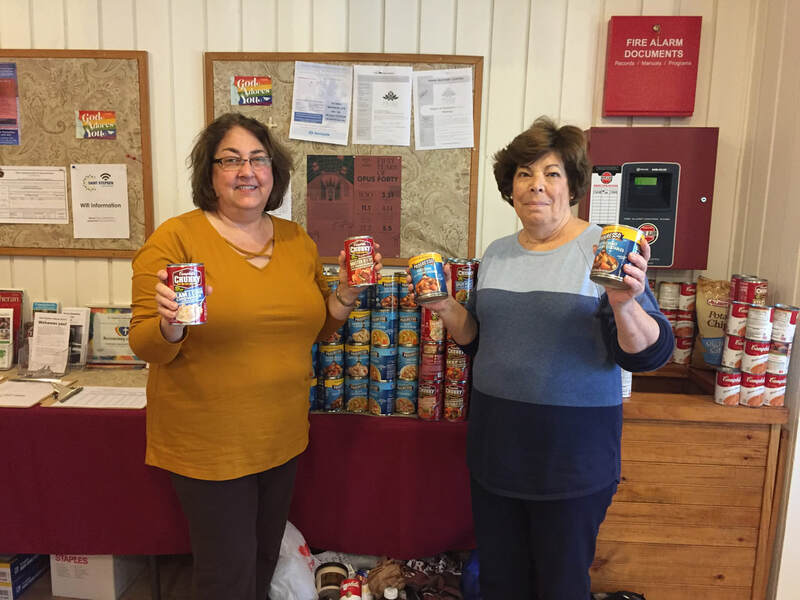 Jane Woolsey of Hudson and Martha Domke of Marlborough frame a collection of about 250 cans of hearty soups and other foods gathered by members and friends of St. Stephen Lutheran Church, Marlborough for the Hudson Food Pantry during the first two weeks of October. If the church reaches its goal of donating at least 500 food items by the end of the month, Thrivent will give the Hudson Food Pantry $500 as part of its Feed Northeast 2018 campaign. (Thrivent is a financial services organization and fraternal benefit society that donates to causes supported by its members.) This effort is through the Thrivent Member Network-Northeast Region, which has encouraged members to host an October food collection to impact food insecurity in their local area and support their favorite hunger-fighting 501c3. Fall and winter holidays are just a few weeks away. For some area families, gift-giving occasions are stressful because they compete for the same dollars needed to buy clothing or food. 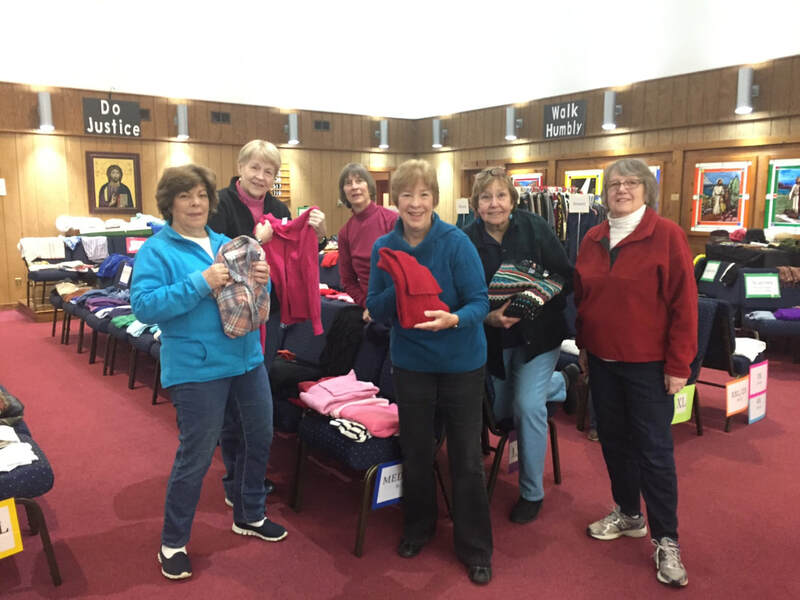 The people of St. Stephen Lutheran Church, 537 Bolton St. (Route 85), Marlborough would like to help by offering a Clothing Giveaway on Saturday, November 10 from 10 am to noon. All items are FREE. There will be a selection of gently used clothing for men, women, babies, and children, as well as accessories such as hats, gloves, scarves, shoes, boots, and belts – all at no cost. Those who come can bring their own bag, or take a bag provided and fill it with whatever they can use. John the Baptist said, “Whoever has two coats must share with anyone who has none.” (Luke 3:10) The people of St. Stephen offer an entire rack of coats at the Giveaway. Typically, 50 coats go to new homes during the fall event. 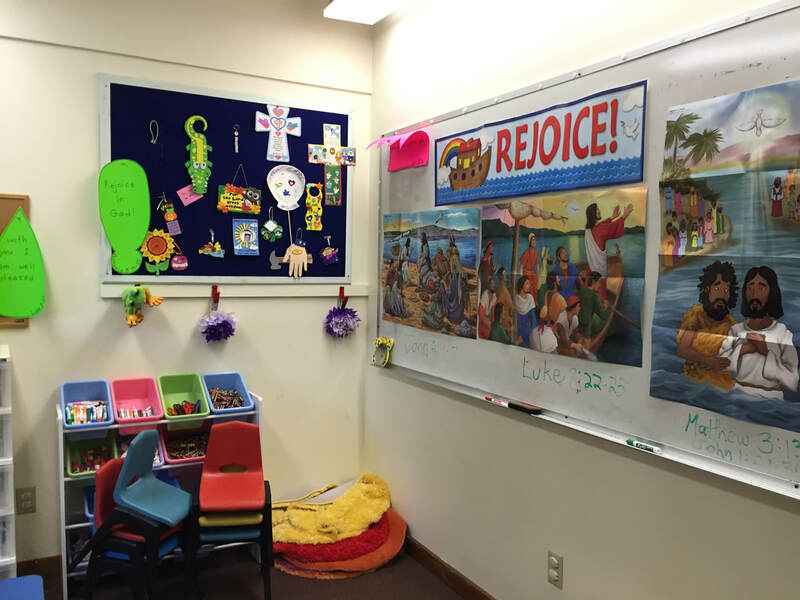 Church members and friends are looking through their closets now to meet this goal. This is the fifth year the church has hosted spring and fall giveaways, and fall 2018 marks the 11th Giveaway. Shoppers can expect to find seasonal sweaters, tops, pants, pajamas, skirts, dresses, and tee-shirts in all adult sizes, as well as children’s clothing. Most items will be gently used, but some will be almost new and could be gifts for others. Tight budgets often don’t leave anything for fun purchases, so the planning committee is making sure there will be costume jewelry, purses, and scarves, so shoppers can pick up a treat for themselves as well. 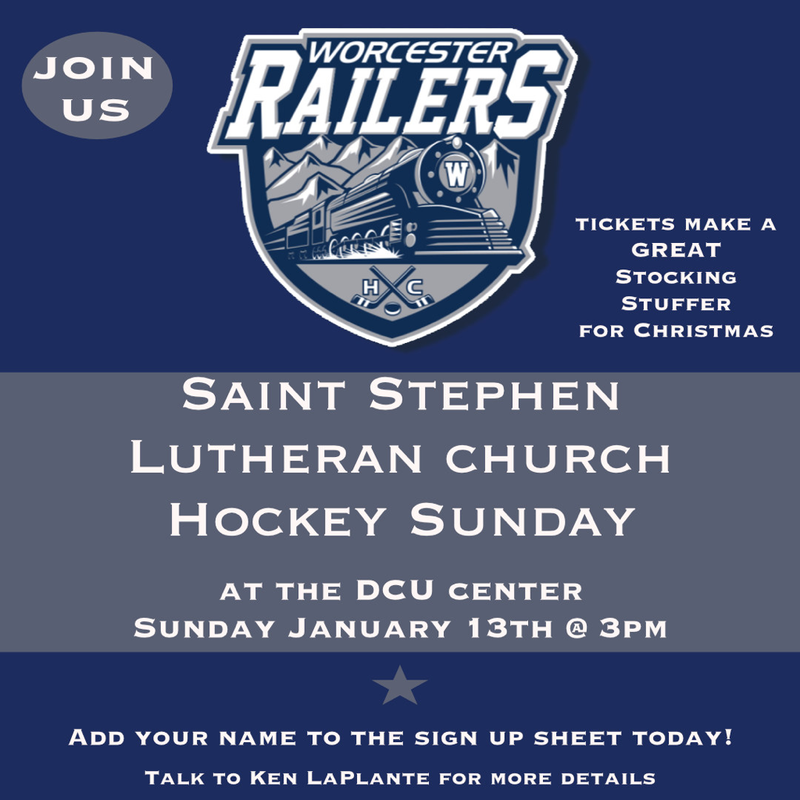 For more information about Saint Stephen Lutheran Church, visit www.saintstephenlutheran.com or the church’s Facebook page. The church is a Reconciling in Christ congregation, inviting people of every gender, sexuality, race, ethnicity, ability, marital status, or class. Parishioners come from Marlborough, Hudson, Berlin, Northborough, Southborough, Westborough, Shrewsbury, Stow, Sudbury, and Bolton. Worship takes place on Sunday at 9:30 am, and Wednesday at 6:30 pm.